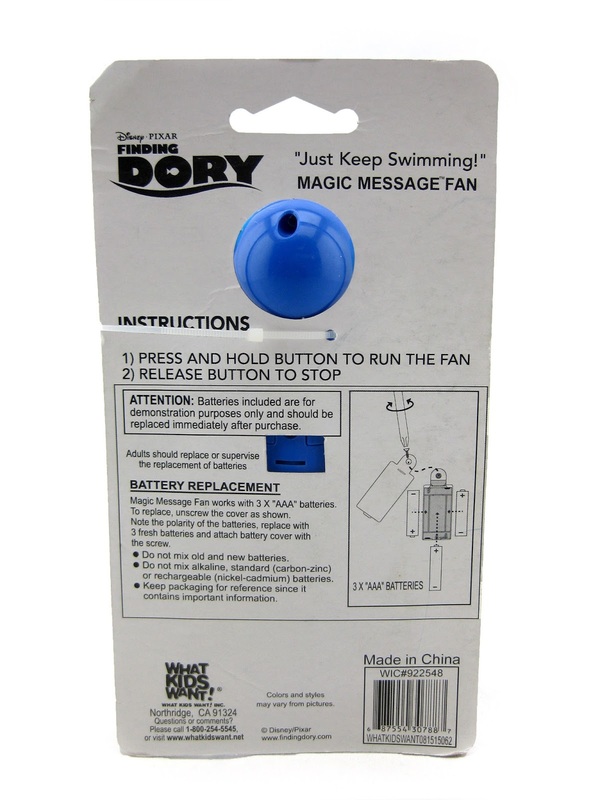 There is so much Finding Dory stuff out there right now (even before the release of the main lines) that I haven't purchased, so why did go for this? I'm not sure! 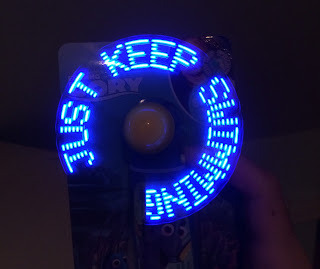 I'm not usually too interested in the early tie-in products (especially the "cheap" stuff), but this stood out as unique to me...and you know I'll actually be busting it out on those hot summer days soon enough! Anyway, I thought it was pretty cool and thought a lot of my readers would find this cool as well. 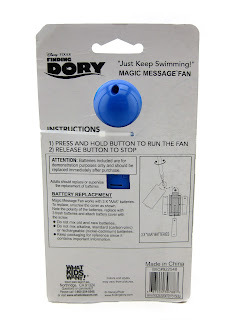 Just hold down the button on the side and, as the fan starts spinning, Dory's famous line "just keep swimming" will magically appear! 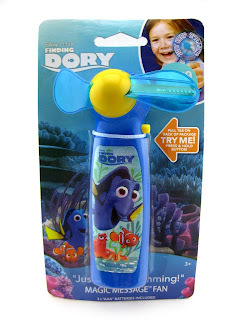 This is the perfect little summer trinket for any fan of the Nemo franchise, young or old. 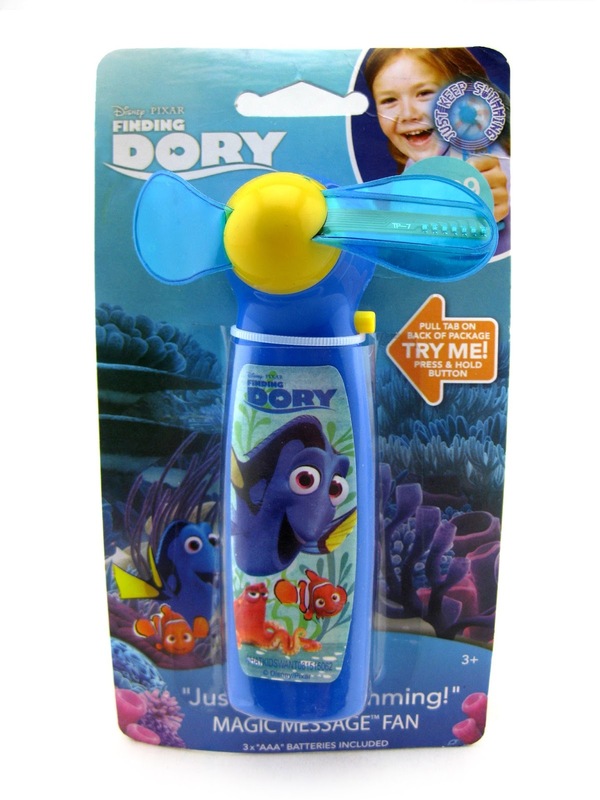 In addition to Walgreens, I just recently saw this at Toy R Us as well- so have a look there if you're looking to track this down (retail is $5.99). Please let me know if you have any questions or comments!